Until now I’ve shared a traditional Sicilian holiday recipe (my mother’s sfinci), my own new favorite tradition ( coquille St-Jacques), a local Christmas French-Canadian favorite (tourtière), as well as the best cake recipe ever (nonna’s sponge cake) which is perfect any time of year! 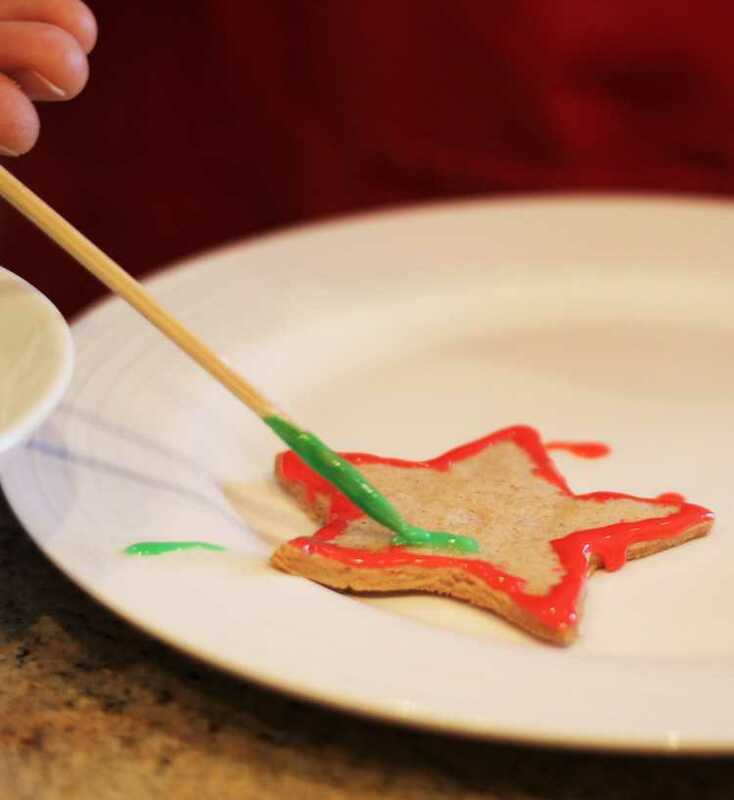 With just under a week to go until Christmas, it’s finally time to share my family’s favorite gingerbread cookie recipe. 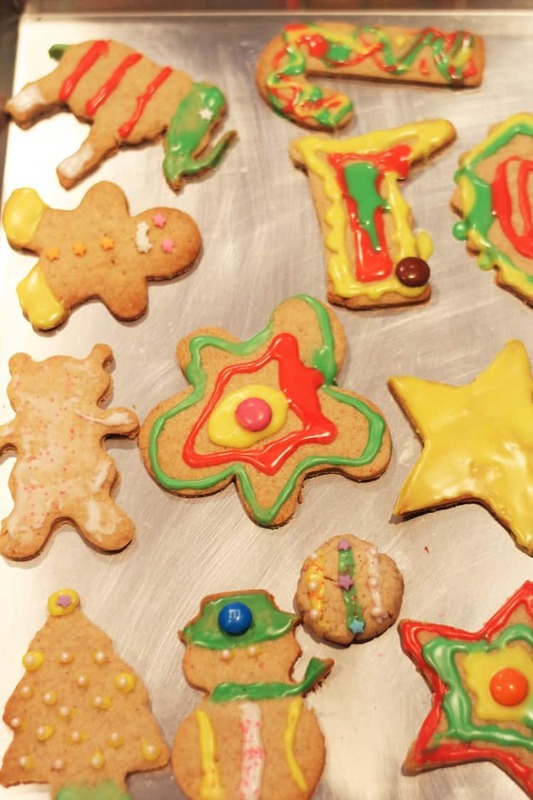 I’ve been making these gingerbread cookies with my children since they were born and it just isn’t Christmas until we bake and decorate them together. As you can tell from our pictures, we use various Christmassy cookie cutters as well as dinosaurs! When my son was younger he was crazy about dinosaurs. He had tons of dinosaur books and knew the names of all of them by heart. 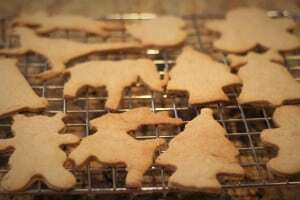 So, one Christmas his grandma gave him a dinosaur cookie cutter set and since then we have Christmas dinosaur cookies as well. 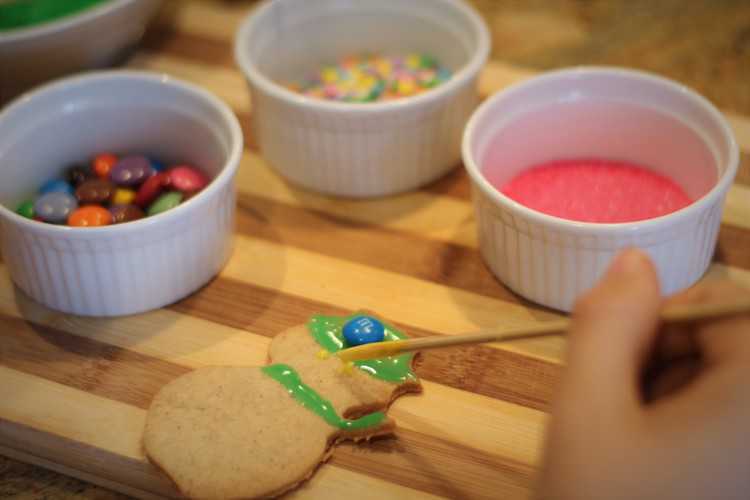 The best part about making gingerbread cookies is that the whole process is a family affair, from preparing the dough to decorating. Even dad gets involved in the decorating. To tell you the truth, he’s better at decorating than I am! I love these cookies because unlike traditional gingerbread cookies they do not contain any molasses, which I’m really not crazy about. These taste more like a shortbread cookie with the addition of ginger. 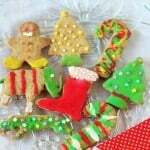 We’ll make a batch before Christmas each year but we hardly ever have any left by Christmas. Enjoy and Merry Christmas to all! 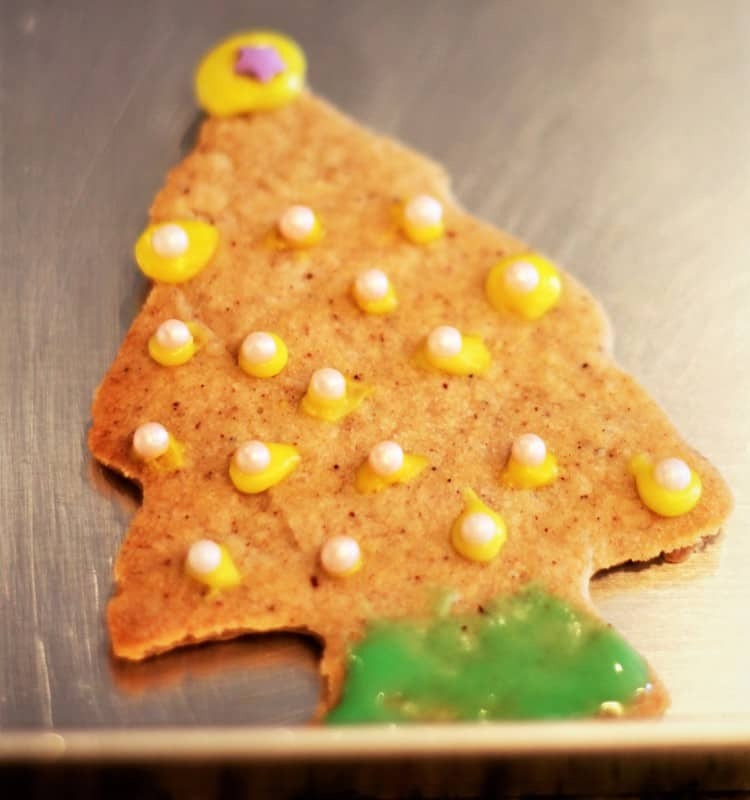 Adapted from The Gazette, Montreal this is our favourite gingerbread cookie recipe. assorted sprinkles, smarties and other candy, basically anything you like! In a large mixer bowl, cream butter and sugar at medium speed until smooth and fluffy, about five minutes. Add egg, baking powder, salt and vanilla. Beat until the egg is fully incorporated. 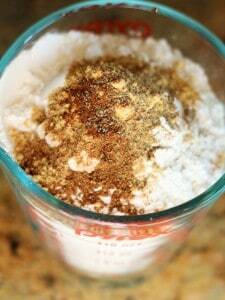 In a medium bowl, sift together the flour, cinnamon, ginger, nutmeg and black pepper. Add dry ingredients to the butter mixture in two batches until the dough holds together. On a lightly floured surface, kneed the dough gently, then flatten into a disc. 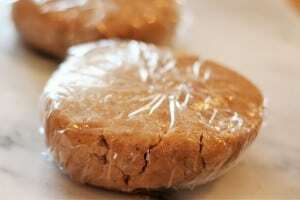 Wrap in plastic wrap and refrigerate for half an hour. Preheat oven to 350°F. 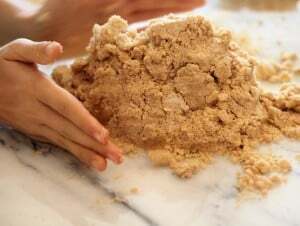 On a lightly floured surface, roll the dough to 1/4 inch thickness. 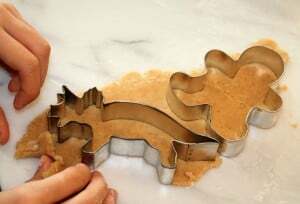 Using gingerbread (or other Christmas shapes) cookie cutters, cut shapes and place cookies on a parchment lined baking sheet. Bake for 12-14 minutes until the edges begin to turn brown. Place on cooling racks and allow to cool completely before icing them. 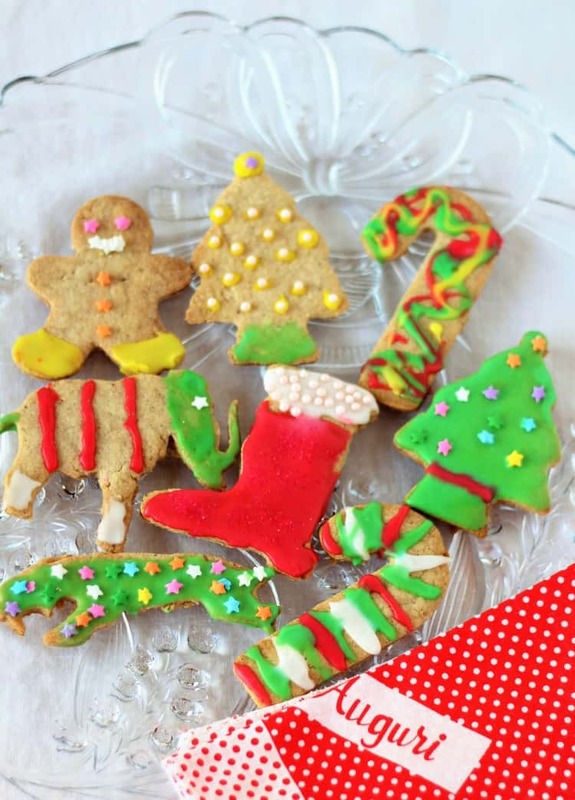 These cookies look adorable! I am making mine the day after Christmas this year. I loved it when I made them with my daughter when they were little girls! Where did you find the reindeer cookie cutter? Thanks Liliana, we have so much fun making these each year. I don't remember where I got the reindeer, I've had it forever! I hope you find one.